A lot is going on in the tech world that one should keep an eye on in coming months. The last two months have been crazy in the technology world. Talk about any flagship gadget announced recently, and it has been launched in India. The list includes the much-awaited Apple iPhone 6, iPhone 6 Plus, Samsung Galaxy Note 4, Sony Xperia Z3, BlackBerry Passport, Motorola 360, among others. The tech space is showing no signs of slowing down in the coming months too. While most of the action happened in the smartphone space, there is a lot coming up as far as wearables, tablets and cameras go. The latest version of iPad continues to shed its waistline and is sleek at 6.1 mm. To be launched in India shortly at a price of Rs 35,900 for 16 GB Wi-Fi, it has a new A8 processor, along with the M8 co-processor, and runs on iOS 8.1. The new iSight 8 MP camera is at the back. 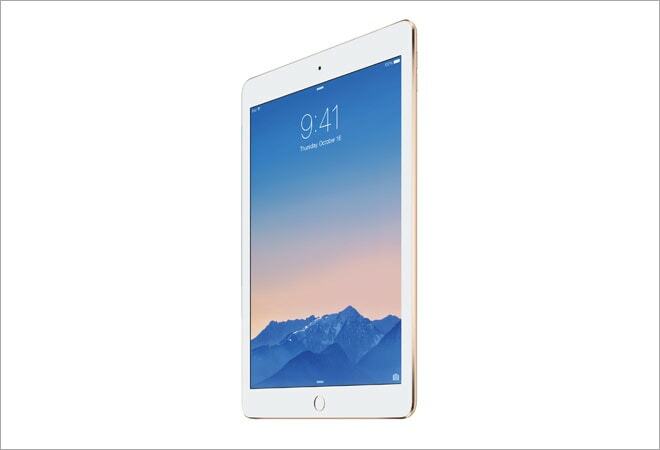 The 9.7-inch screen is the same, but is now referred to as a new Retina display. Looking beyond smartphones, HTC has now entered the consumer camera space. 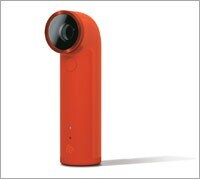 The HTC RE is a cylindrical camera featuring a 16 MP, 1/2.3-inch CMOS sensor with a 146-degree wide angle. The camera will work with the RE app for Android and iOS devices. Packing an 820 mAh battery, HTC claims it's good enough to capture 1,200 16 MP photos or one hour, 40 minutes of continuous video recording in full HD resolution. Priced at $199.99 in the international market, the RE will hit India in November first week. Sony has launched sequels to its wearable devices, the SmartBand SWR10 and the SmartWatch 2, in the form of the SmartBand Talk and the SmartWatch 3. The SmartBand Talk includes a speaker and mic for answering calls from the phone. There is a 1.4-inch e-ink display for interacting with the device. 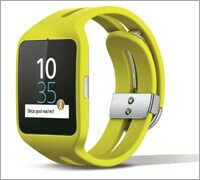 With SmartWatch 3, Sony has forayed into Android Wear devices. It has a 1.6-inch display, 320x320 pixel resolution, 4 GB of internal storage, an accelerometer, a compass and a gyroscope. 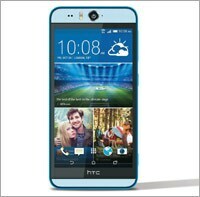 This new smartphone marks HTC's entry into the water resistant domain. It has a 13 MP 'selfie' camera at the front and another 13 MP camera at the rear. The BSI sensors onboard capture crisp photos. HTC has added an intelligent dual-LED flash on both cameras and claims it works well even in low-light conditions. There is a 5.2-inch full HD display, along with a 2.3 GHz Snapdragon 801 quad core processor, 2 GB of RAM and 16 GB onboard storage. Hopefully, it would have hit India by the time you read this. While the laptop space isn't as exciting as it used to be, the Envy X2, HP's recent offering, looks promising. Taking a cue from the Microsoft Surface Pro design, the Envy X2 has a detachable backlit Bluetooth keyboard. It will be available in two sizes - 13.3 inches and 15.6 inches. It will make its US debut in November, but will take some time to reach the Indian shores. Apple claims it to be the most personal device the company has ever created. 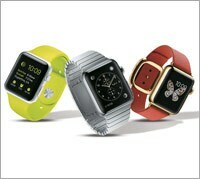 Available in two sizes - 1.5 inches and 1.65 inches - the watch has a square face made of sapphire glass. The Digital Crown offers an innovative way to scroll, zoom and navigate. Starting at $349, the watch will only go on sale in the US in early 2015. It's too early to say when it will come to India and at what price. Here is a first look at Microsoft's Windows 10 operating system. This new OS will bring back the familiar Start menu along with a new customisable space of adding favourite apps and live tiles. Four apps will be snapped on the same screen with a new quadrant layout. While the Windows 10 OS will hit the markets later in 2015, its technical preview can be downloaded. 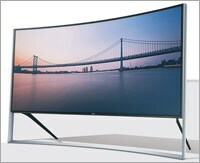 Earlier this year, Samsung unveiled a 105-inch curved LED TV. Recently, the company launched a bendable version of the same size. The 105-inch Flexible 4k LED TV bends [on command] from flat to curved. The display brightness is impeccable across the board and the device produces remarkable, vibrant colours. Galaxy redesigned It isn't a flagship smartphone, yet the design makes it one.